February fringe hours have been spent mostly in the laundry/sewing room this month. After all the Christmas quilt creating in the fall, I set aside the red and green for awhile. 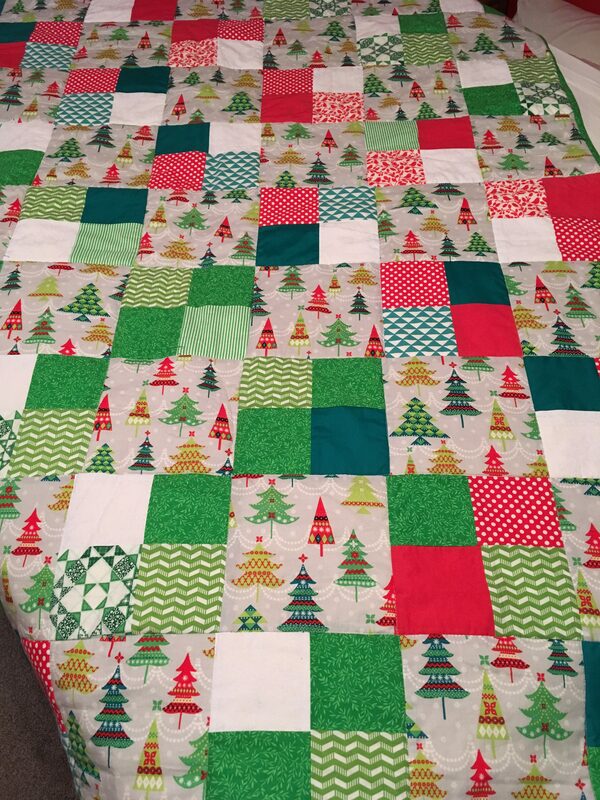 There are more Christmas quilts to be made, but that will likely start back up in the summer. I might run out of daughters and grandchildren to give these too, before the fabric is all sewn up! For now beautiful sunshine yellows are making their way into a quilt for my youngest. My youngest daughter says she will decorate her entire home in yellow when she is grown. Now I cannot picture that, but making her bedroom a warm sunny yellow retreat is in progress. Cutting this quilt is taking more time than any of my other endeavors, this will be my most complicated quilt so far. I am pretty excited about it, but when Valentine’s was approaching I got an idea for some quick projects that would give some instant gratification. 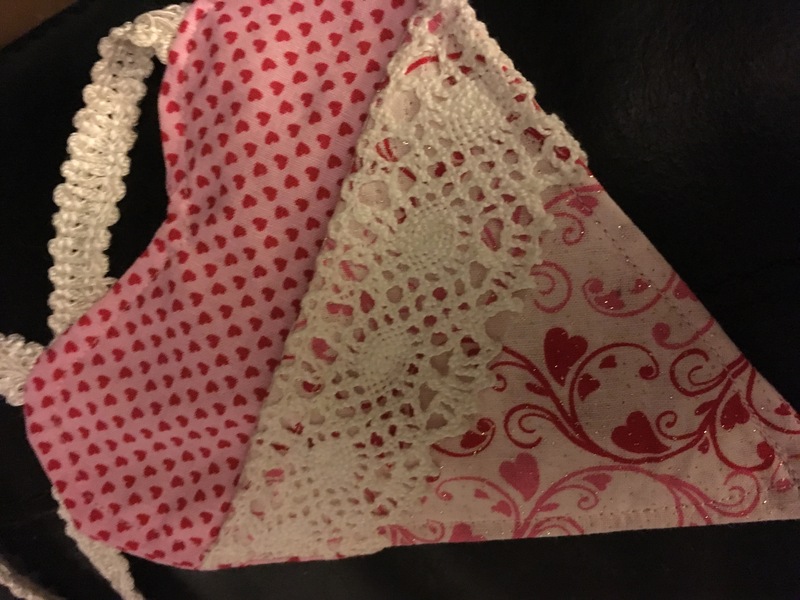 First I made these darling Valentine pockets. I filled each of them with a couple of gift cards and a little candy, then hung them on the bedroom doors of each of the kids. The live action Beauty and the Beast is coming out in March so we gave each of the kids theater gift cards and a gift card for lunch or dinner. While making those pretty little pockets, I started a Valentine’s table runner. It wasn’t finished in time for this year, but it will be a lot of fun to pull it out of the tub next January! Kind of like the placemats I made last winter, and got to enjoy all Christmas season in December. 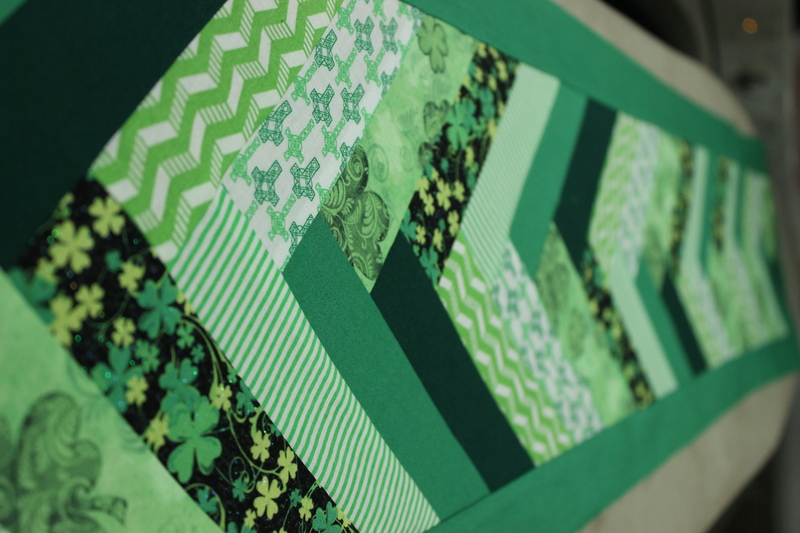 Now I am a little ahead of myself, with this St Patrick’s table runner that is nearly completed. I should have it on the table by March 1, to enjoy all month long. This is a French braid pattern, that instead of making blocks, I just made into a long braid. It will be backed with the green cross fabric, and the binding will be the black with shamrocks. Having these little and big projects to work on has helped this month just fly by. Spring is just around the corner, right? What have you been enjoying in the fringe hours?